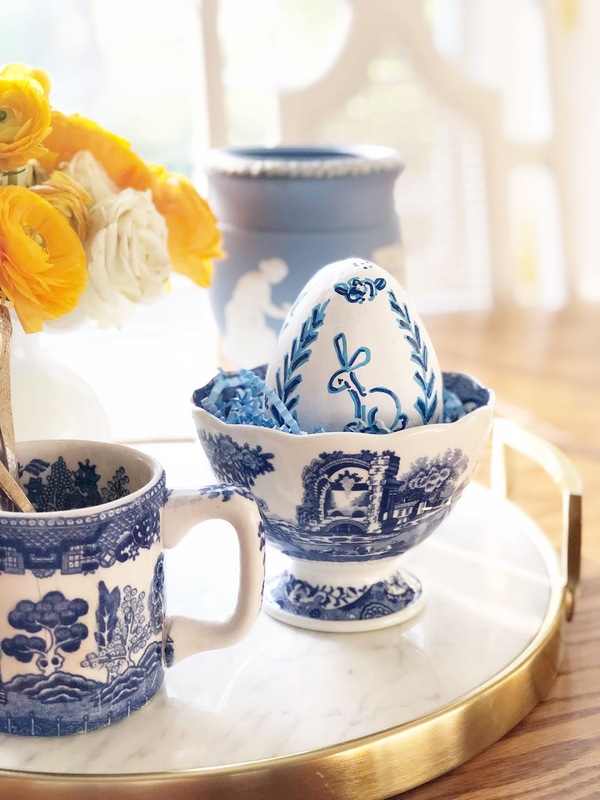 My talented friend Leslie, of Giddy Paperie, has released a limited edition collection of water color painted paper mache eggs that we all need to add to our decor. These are so precious, and as usual, Leslie has created such lovely and one of a kind pieces to add to your repertoire. I love the size of the eggs, they are so beautiful for so many things. 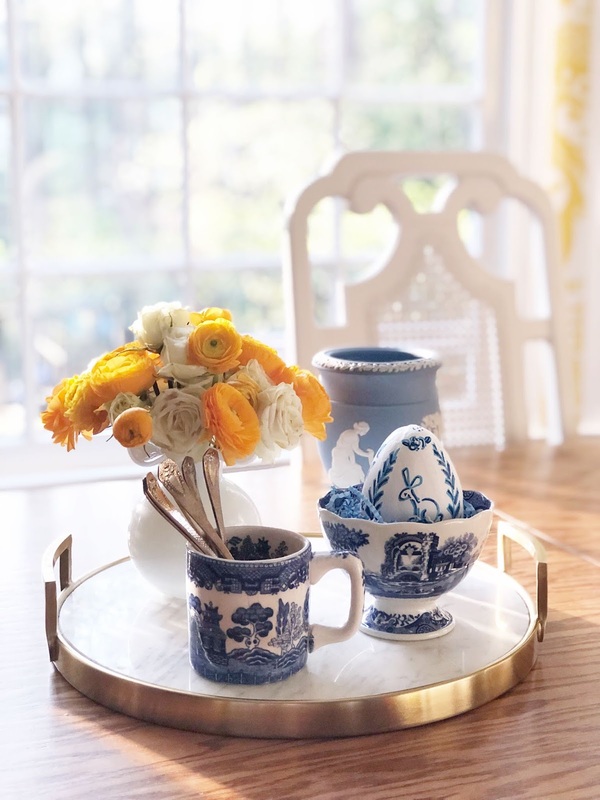 You can add them to your Easter basket, add them to your Easter table, or even gather a number of them in a basket as a centerpiece on your table. 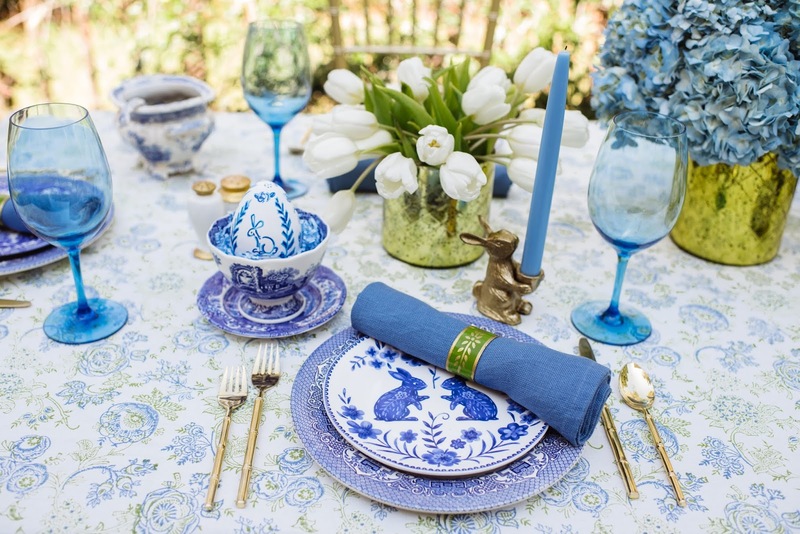 I added mine to our beautiful spring table to inspire you to add them at each place setting for your Easter dinner. You can order clear cello bags + chose a darling ribbon to tie them up and send them home with your precious family to use in their own home next year. How precious is that darling bunny in the center of the egg? I love how darling each of Leslie's designs are, and how precious they would be for a number of people and ages. I think this darling tulip pattern would be precious for a little girl's basket and something she could keep and treasure for years. This pattern is quite possibly my favorite, something about pink + blue that has been so inspirational to me lately. The topiary is another favorite of mine, so classic and timeless and yet so perfect for the season ... and the pink cheetah, oh how darling are you? I think they are amazing on their own, or even mixing up all the patterns would be amazing as well in a large bowl with shredded paper ... you would have an instant table centerpiece. 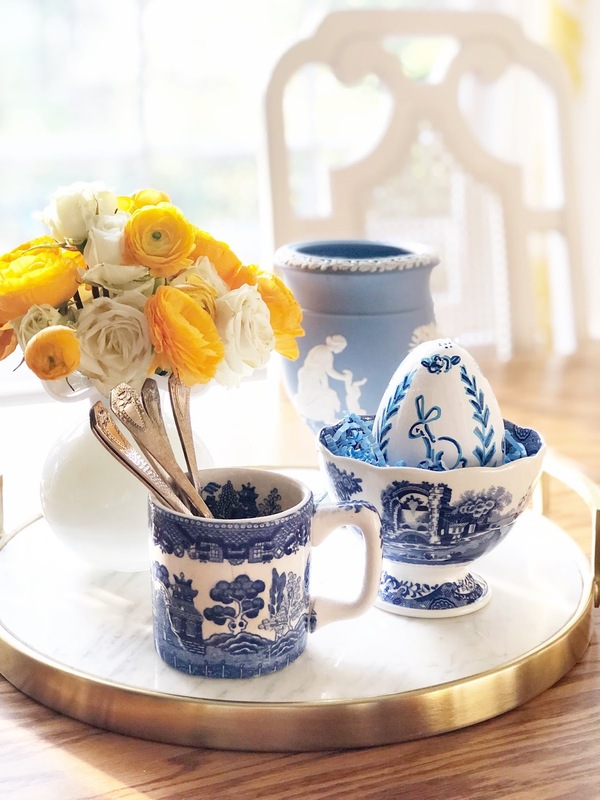 Make sure you get yours quickly, these will sell out as Leslie's holiday mugs do each year and you do not want to miss adding a hand painted paper mache egg to each of your baskets and as gifts for those you love and adore. She currently has six of each style, so you do not want to hesitate in the least. 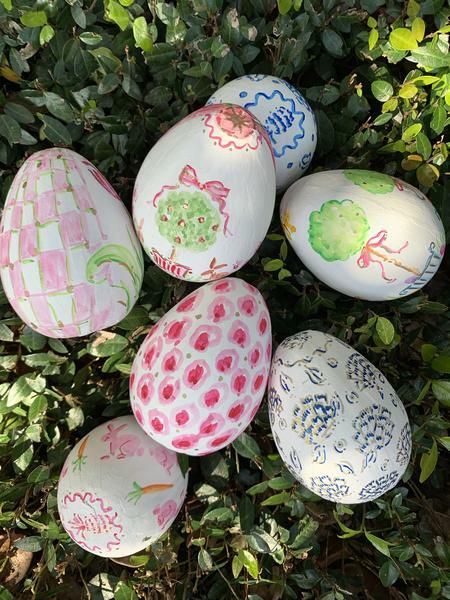 You can shop all of the egg patterns in this section of the website. Oh, and while you are ordering your eggs make sure you get a pair (or two) of these precious garden bunny mugs. I need a few for bestie gifts. They may be too old for a basket of happies, but a darling bunny mug with shredded paper and filled with chocolate is absolutely perfect!